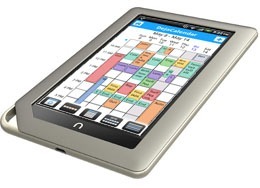 Great news for NOOK Tablet and NOOK Color owners: you can now download DejaOffice from the NOOK App store. Not familiar with DejaOffice? Read on! Put simply, DejaOffice is the most powerful PIM available for NOOK. So go get it – it’s free! This entry was posted in New Devices, Support Updates by David. Bookmark the permalink. I have been trying wireless sync on the Nook Color also and same failure message. I have an open support case on this working now. Just got news from QA that we found a bug in DejaOffice when running on NOOK Color. We will release an update to the app, which should fix the issue you’re having. Thanks for your patience! Best to send in a support ticket. http://www.companionlink.com/support/contact.html They’ll troubleshoot with you to get it working.